Mark Twain, of his Stick-Style house near Hartford, Connecticut. As Petaluma was a thriving shipping and banking industry at the turn of the 20th century, the well to do residents of the day indulged in this fanciful style, building these whimsical Victorians near the downtown heart. 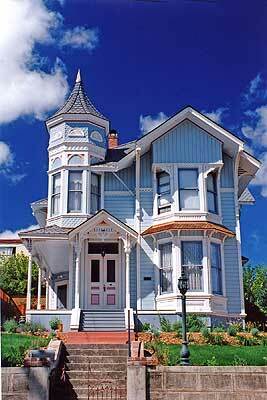 While not as grand in scale as the Queen Anne’s resting on D Street, Petaluma’s fanciful “stick” variety of Victorians nonetheless hold a special place in its architectural heritage. 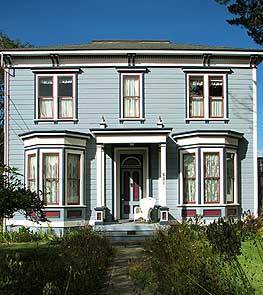 The Brewster district along with the neighborhoods bordering D and 6th streets hold some of Petaluma’s prime examples. “When the famed Mark Twain fell on hard times and was forced to rent out his beloved Stick-Style house, it was said he suffered almost as much as if he had lost a dear friend. Like its owner, Twain's colorful edifice was anything but restrained. In keeping with most of the Stick-Style homes of that era, it had a commanding presence that carried to an extreme the architectural mandate of that day: "Avoid plain walls at all cost." Richard Morris Hunt, the French-trained American architect, popularized the Stick Style. Hunt drew on his knowledge of the current European fashions of late-medieval rustic country houses, namely the gingerbread chalets of the Alps and the half-timbered cottages of Normandy, to design summer houses for his wealthy friends in Newport, Rhode Island. It wasn't until almost a hundred years later -- in the 1950s -- that these marvelous houses would be known as the Stick Style, so named by architectural historian Vincent Scully. The linear geometric Stick Style was a direct expression of the reform movement that pushed for honesty in architectural design. It stressed the use of wood and was built in the half-timbered style, which left the structure of the building visible from the outside. 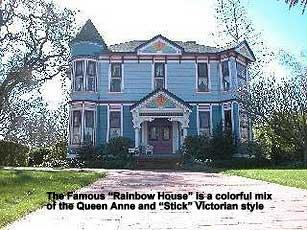 Gone were the formality and symmetry of the high-style Victorian houses; instead, the Stick Style displayed interesting shapes, such as porches and towers, as well as bright, contrasting paint colors. Also characteristic of this style were ornamental brackets and bargeboards, lacy openwork balconies, overhanging eaves, colored shingles and the purely decorative crisscross timbers, or stickwork. 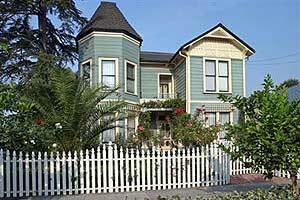 The Stick Style lived only a short time before it melded into the Queen Anne Style, eventually becoming known as the Shingle Style. 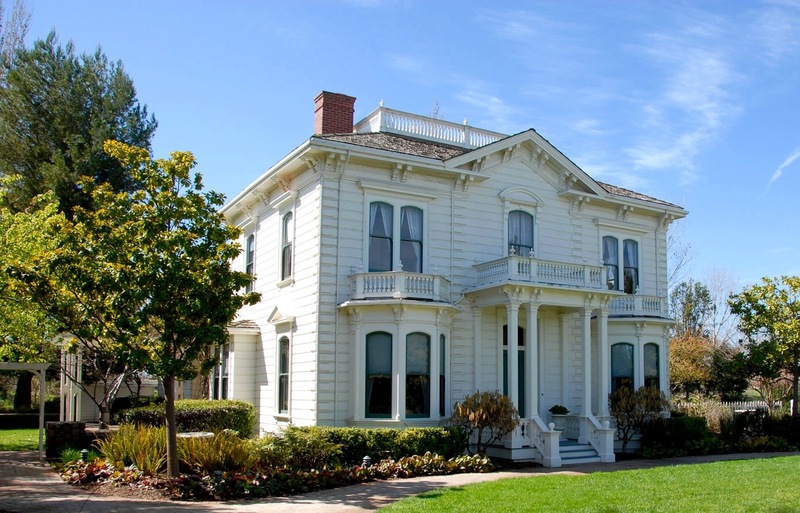 It was considered one of the few purely American-style houses and remained popular in resorts, suburbs, and small towns well into the 1870s.” Some homes rarely seen or recognized is the "Georgian Italianate" home on the right below.